It’s all about the diagonals, the lines of tension anchoring the composition in place. The tree and the weeds on the roof in the background. The shadow on the left with the shadow on the right. The yellow plank extending to the right up top and the one nailed in place down below. The grey pavement and the chunk of grey sky. Etc. Not to mention, it just made me laugh. Who nailed that mondo plank there anyway? And who ran off with the saw just when it was needed most? And then it became all too much, yeah? So YEARS later (the tip off is the rusty nail holes) here we are. 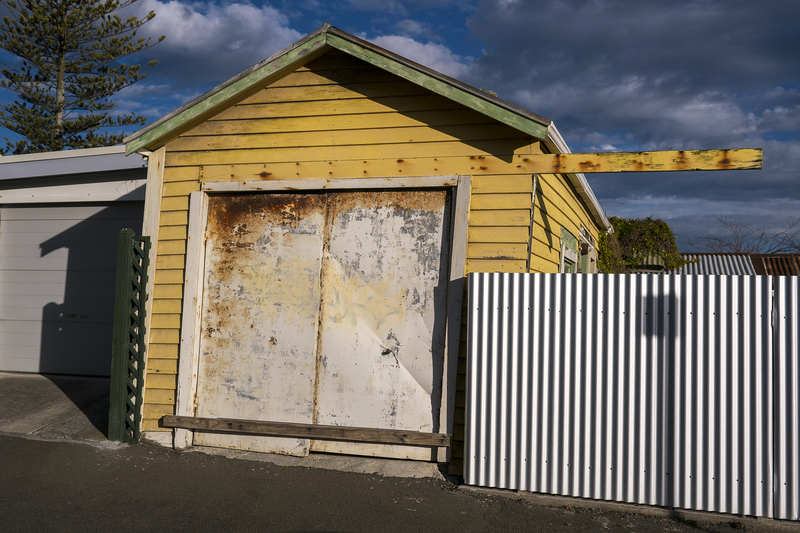 Now the shed is the eccentric aunty who has always been there, a well-loved neighbourhood character. Diss her and we’ll biff you.